Whilst reading the numerous articles dealing with the Big Data issue, written by renowned sources such as the “Zeit”, the “Spiegel” or on tagesschau.de, one cannot help but notice – this topic has arrived in the world of mass media. And this is a good thing! The wording of quite a few stories is sometimes identical to the passages from our Free Your Data campaign. And so, none other than the President of the European Parliament Martin Schulz himself, asks how we would like to live in the future and which goods are especially dear to us and worth protecting. In this article, the President of the European Parliament speaks to our hearts. 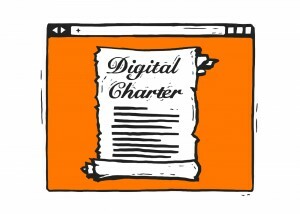 For example, when he writes: “If left completely uncontrolled, the new technology could lead to less plurality and in its stead, increase the lack of freedom.” For Schulz, the protection of our fundamental rights in the form of a charter, is the only way we can prevent “digital totalitarianism”. Right you are, Mr. Schulz, Free Your Data and let us work on a charter for our digital future unitedly! On the homepage of the honorable “Tagesschau”, using the headline “Massive Data from Students”, the two journalists Christian Baars from the NDR and Hannes Grassegger from the SFR report on the subject of online university courses. The so-called Massive Open Online Courses (MOOC’s) use ca. 20 million students worldwide, who benefit from lectures by renowned professors in the best universities of the world, through the use of videos, quizzes and chat features. The contents of such free-of-charge MOOC’s are generated by the lecturers, they are then distributed through, amongst others, Coursera. The global market leader from the US, has over 16 million registered users and explicitly sells data to corporations for recruiting purposes and as an opportunity to increase its own income. For those of you, taking part in a Math-MOOC and who even after inquiring 20 times, still don’t understand how a rule of three works, should not be surprised to receive imminent job refusals.